I try doing activities with Lyla before the actual holiday, not just to be festive, but to make her aware of what's going on. I love that she can enjoy them with us, it makes things so much more fun. Lyla and I had the place to ourselves recently, so I figured we could bust out some glitter and other sparkly stuff while Daddy was away. 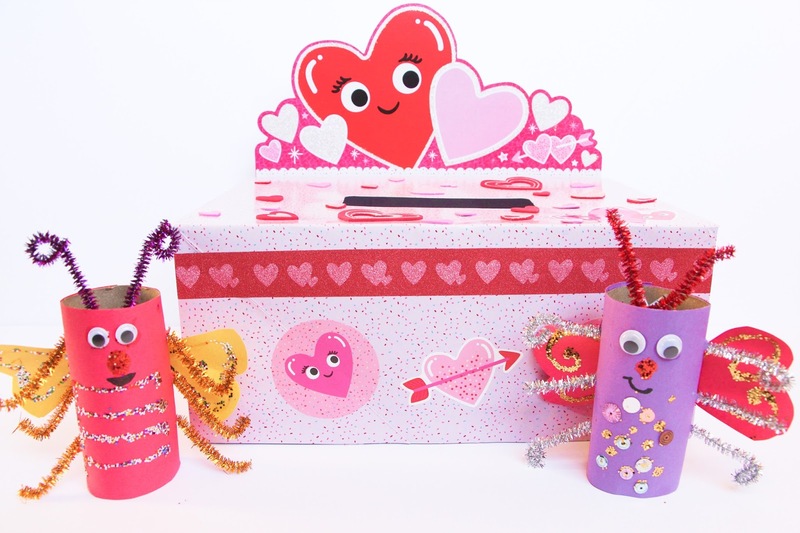 We built a Valentine's Day card box from Target and created some DIY love bugs. Now, what is an almost three year old going to do with a valentine box? Nothing. It was just a random activity. However, it's been a battle lately to get my two year old down for a nap, so I told her that if she was a good girl and took a nap then maybe the Love Bugs would leave a surprise in her box for when she awakes. Some days it's a bag of freshly cut, bite sized apples, others it's a sweet treat; it all depends on how her attitude is during the day. Some might call it bribery, but that's such an awful way to describe it. Let's just call it stretching her imagination with an award system. That sounds way better. Instructions: Make sure the cardboard roll is clear of any paper. If you're using a paper towel roll, you'll want to cut it to the size of a toilet paper roll. Next cut a piece of construction paper enough to wrap around the roll, tape or glue in place. Use the needle to poke three holes on one side of the roll, and do them same to the other side, ensuring the holes are symmetrical; you'll place three pipe cleaners through these to create the legs. Cut the legs to desired length. Using a different colored construction paper, cut out two hearts and glue or tape them to the back of the roll (behind the legs) to create "wings" for the Love Bug. If you're planning on decorating them, I suggest adding the decor before placing wings; if gluing, let them dry. Once the wings are in place, you can start creating the Love Bug's face and body. 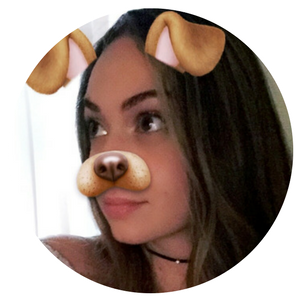 Lastly, you'll be making the antennas out of one pipe cleaner and gluing them in place on the inside of the toilet paper roll. There you have your own DIY Love Bugs. Have fun with this and remember to be creative. 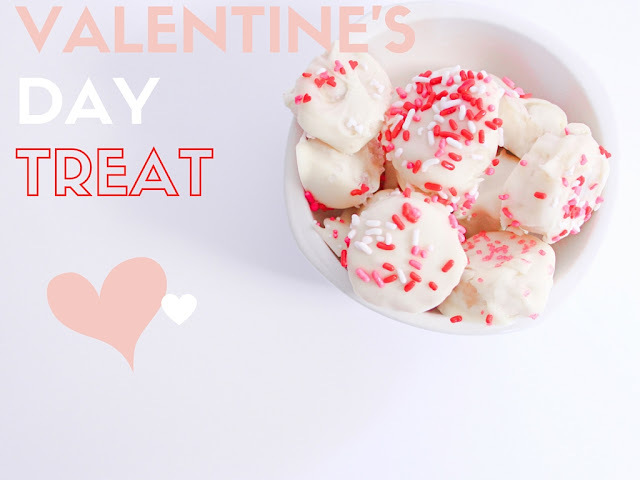 The other day, I had a serious desire to get my Valentine's Day gear out, as well as a dire need for something sweet.With Cupid's arrow hitting me early this year, I ended up making a random Valentine treat with stuff I already had. These semi-healthy treats lasted a only a couple hours in our household. Directions : Cut the banana into bite sized pieces and set aside. Line a cookie sheet with parchment paper. Melt some white chocolate in a bowl either by microwave or stove top. Dip the banana slices one by one in the chocolate (I used a spoon for this) making sure all sides are covered and place on parchment paper. Do this until all the bananas are covered, then top with desired amount of sprinkles and place the cookie sheet in the refrigerator until the chocolate is hardened. There you have it, a very do-able, semi-healthy treat to get you in the spirit for Valentine's Day. For all of you who have had a bad 2015 - you've made it! 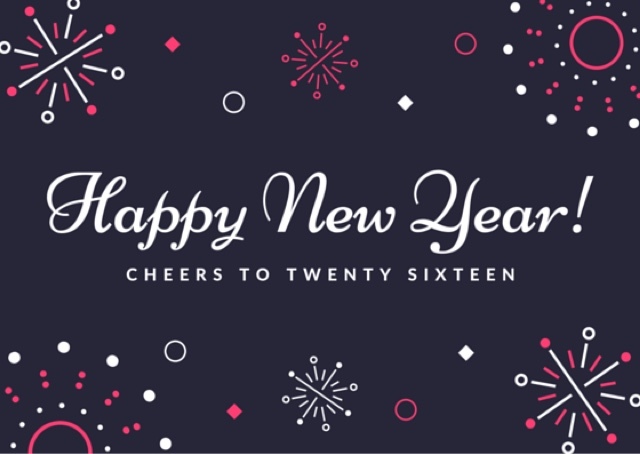 Happy 2016 everyone, may this year bring prosperity to you all. Have fun and be safe tonight !